Finding First Communion decorations that can serve as favors is a bonus. 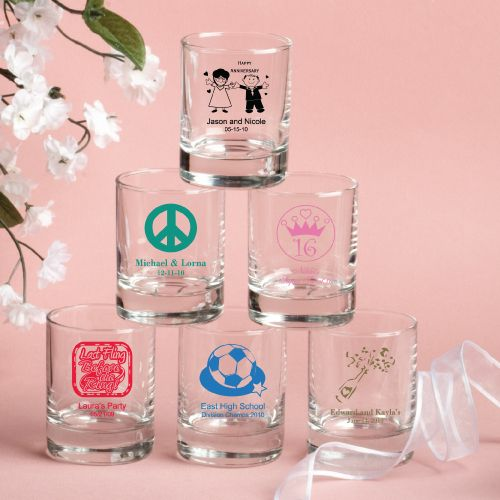 Our glass can serve many purposes including tea light candle holder, mini bud vase, trinket or jewelry holder, rosary container, or a shot glass. Fill it with pink or blue M&Ms or other candy to add color to your tables. 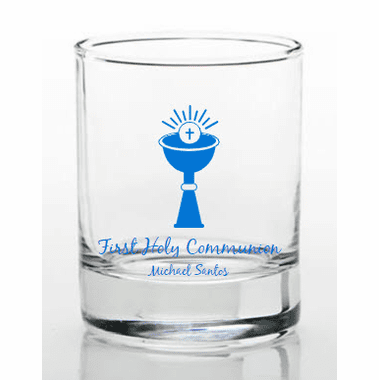 A simple, personalized glass are ideal as 1st Communion favors. 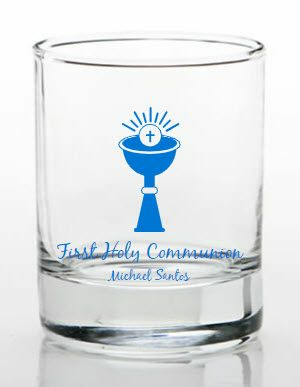 Each 3.5 ounce glass measures 2.5" tall x 2" round and is made of clear glass with your choice of design silk-screened on the front. You choose from a wide variety of ink colors and designs/themes. You can also design your proof online. These favors come bulk packed.